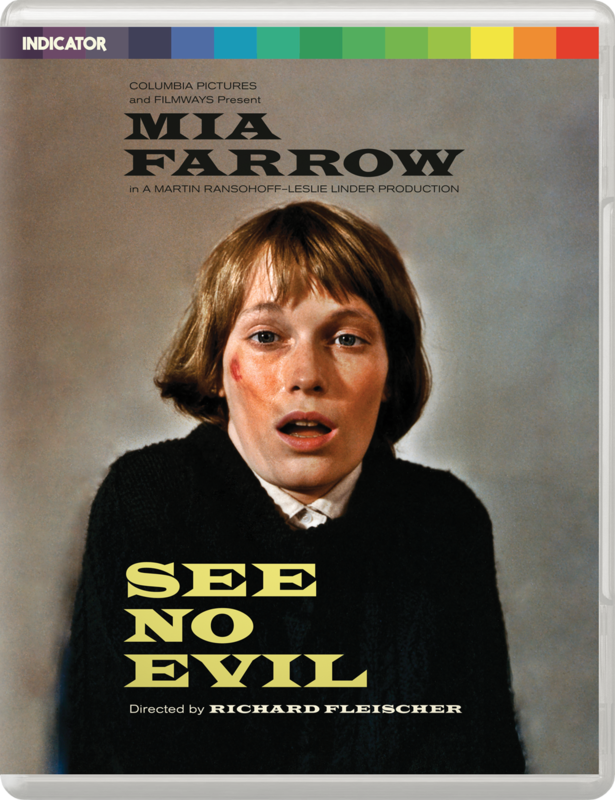 Coming from Powerhouse Films in September via dual format region free DVD and making its U.K. Blu-ray premiere is the 1971 suspense-thriller starring Mia Farrow and directed by Richard Fleischer film, SEE NO EVIL. 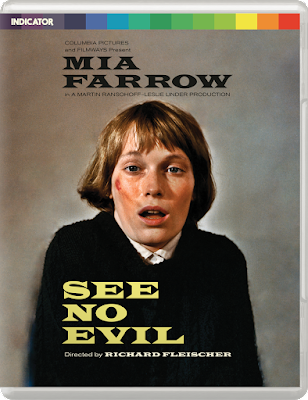 The film will be released 25th September 2017 but you can pre-order it via Powerhouse Films website by clicking HERE. Be aware that payment will be taken immediately and the item will ship just before the release date.